Marianne Quinn | Meyerson, Fox, Mancinelli & Conte, P.A. 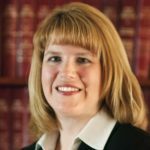 Marianne Quinn is a Partner at Meyerson, Fox, Mancinelli & Conte, P.A. Practicing family law exclusively for more than 30 years, Marianne dedicates her practice to representing clients in all aspects of family and matrimonial law. She has extensive litigation experience including complex alimony and equitable distribution matters involving executive compensation and business valuations. Her years of experience and training as a parent coordinator have enhanced her insight and ability to assist her client’s with highly charged emotional issues often present in contested custody and parenting time conflicts. Marianne received her Juris Doctorate from Seton Hall University Law School. During law school she worked in the Center for Social Justice Family Law Clinic. Following her graduation from law school, Marianne served as the judicial law clerk to the Honorable Harvey R. Sorkow, P.J.F.P., former presiding judge of the Bergen County Family Part. Marianne is certified by the Supreme Court of New Jersey as an Economic Family Law Mediator and is a trained Parent Coordinator. She has been appointed by the Court and chosen privately by her peers in the legal community as both a Parent Coordinator and as an Economic Mediator. Prior to joining Meyerson, Fox, Mancinelli, Conte & Bern, Marianne was a partner for over 18 years at a well respected law firm in Hackensack, NJ. Marianne is an active participant in the legal community. She is the Chairperson of a Family Law Economic Early Settlement Panel and volunteers her time in the Superior Court of Bergen County assisting counsel and litigants in resolving their family law disputes as an alternative to litigation. She is a member of the New Jersey State Bar Association, the Bergen County Bar Association, and Women Lawyers in Bergen County. Marianne is also a member of the International Association of Collaborative Professionals, the Collaborative Divorce Association of North Jersey and a member of the National Association of Professional Women.